Planning a trip to Big Sky Country? Whether you’re coming for Summer, Winter, Spring, or Fall, West Yellowstone is bound to be a place that you’ll love visiting. Since you're just down the road, put Big Sky on your destination radar as a place to play and stay too. West Yellowstone is located at the junction of Highway 191 and Highway 20 in Montana on the border of Yellowstone National Park. It’s a popular place for snowmobiling, hiking, Yellowstone National Park tours, wildlife spotting, horseback riding, RVing, cross country skiing, shooting guns, camping, and water sports on Hebgen Lake. What are you going to do first? Due to it’s proximity to all sorts of amazing activities, West Yellowstone gets pretty busy. 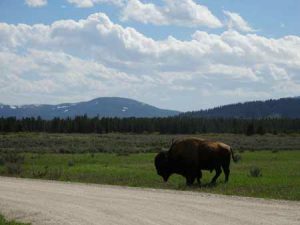 Be sure to plan ahead if you want to secure lodging near West Yellowstone. There are cabins, lodges, ranches, brand name hotels, VRBOs, bed and breakfasts, campsites, RV lodges, and inns where you can stay in West Yellowstone. Another great option for lodging near West Yellowstone is just up the road in Big Sky. Big Sky, Montana is located just north of West Yellowstone - about halfway between West Yellowstone and Bozeman. It’s less than an hour away - and the drive is jaw dropping. The short drive from West Yellowstone to Big Sky takes less than an hour. Don't forget your camera because Highway 191 cruises through Yellowstone National Park and along the Gallatin River. Keep your eyes on the lookout for moose, grizzly bear, elk, bald eagles, and other spectacular creatures. There's plenty of hiking and fly fishing along the way too. Then when you see the only stoplight along this stretch of Highway 191, turn west and you’ll be in Big Sky. Tucked into the Madison Range, Big Sky offers up a truly unique Montana experience that we know that you’ll enjoy. This laid back, Montana mountain town welcomes people year round. Stay in Big Sky and set up your base camp for everything you want to do in Big Sky Country - skiing, snowmobiling, fly fishing, hiking, climbing, cross country skiing, and so much more. If you’re looking for lodging near West Yellowstone, consider staying in Big Sky. 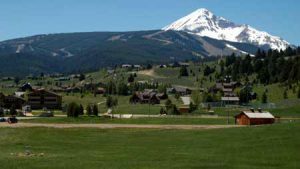 There are lodging options in Big Sky that appeal to all sorts of travelers on all sorts of budgets - hotels, VRBOs, cozy cabins, guest ranches, campsites, and more. Plus, Big Sky has everything that you want and need - restaurants, culture, entertainment, and mountain scenery galore. It's a destination that’s worth visiting. Come for a day, a week, or a lifetime. Play in our backyard or relax in luxury and disconnect from the “real” world. Whatever you choose to do, you’re going to love Big Sky. 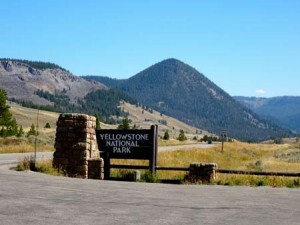 It’s the perfect launch pad for all of your Greater Yellowstone Ecosystem adventures .